When we heard about Irene Edward's renovation project of her 1878 Victorian home in Alameda, California, we were swooning. Sunset magazine's Editor-in-Chief and her husband, John, set out to turn the 2,400 square foot home into a warm and contemporary family home while still paying tribute to its historic bones. 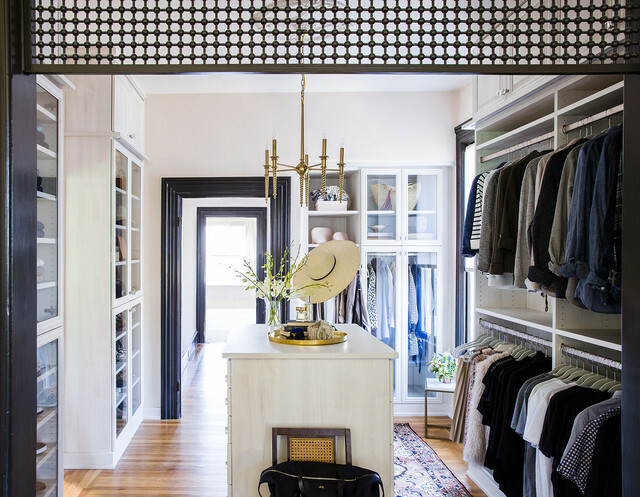 Like most homes from this era, closet space was a challenge, so the couple decided to turn a two-room upstairs area into the master bedroom and dressing room. Irene loved our Laren Closets line because of its custom features, quality craftsmanship, and thoughtful design elements. "My dressing room is easily my favorite room in my whole house. 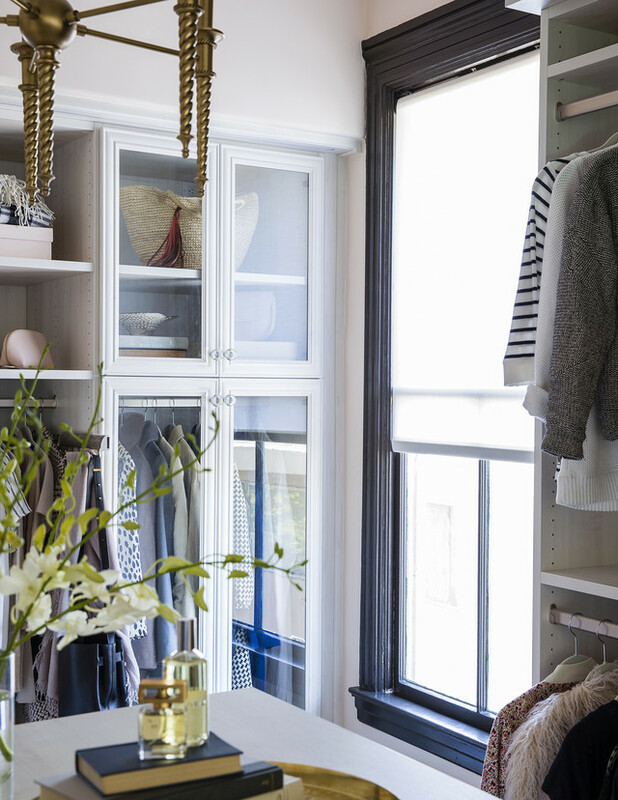 It's amazing what a beautifully designed and organized space can do to lift your spirits. My walk-in closet (really more of a walk-through closet!) is the first thing I see in the morning when I wake up. It sets the tone for the whole day and makes me feel calm, collected, and happy. And that's even before the experience of getting dressed, choosing my outfit and the accessories that go with it — so much easier than ever before, but also much more fun," said Irene. "I've never thought of myself as the kind of person who would have a Carrie Bradshaw-type closet, but I think deep down it's a fantasy many of us would admit to wanting. And now that I have my own modern version, I can't imagine not having one in my life! I've never had the experience of customizing a closet before, and it was an incredibly thoughtful and rewarding process. 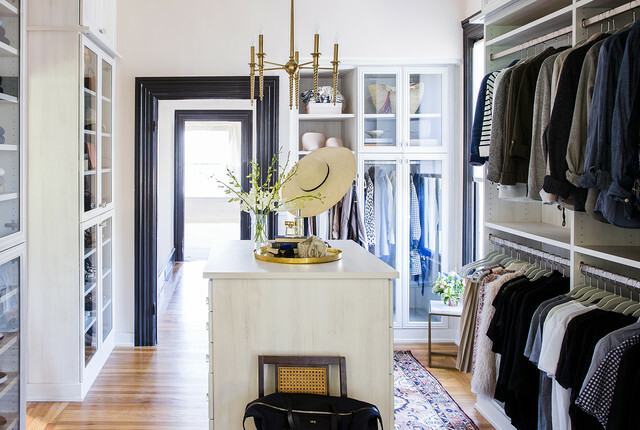 I loved interacting with each member of the Laren Closets team, especially Courtney Lomonaco, my wonderful design partner, who advised me and my interior designer on every particular detail and patiently went through each question my husband and I had," she says. 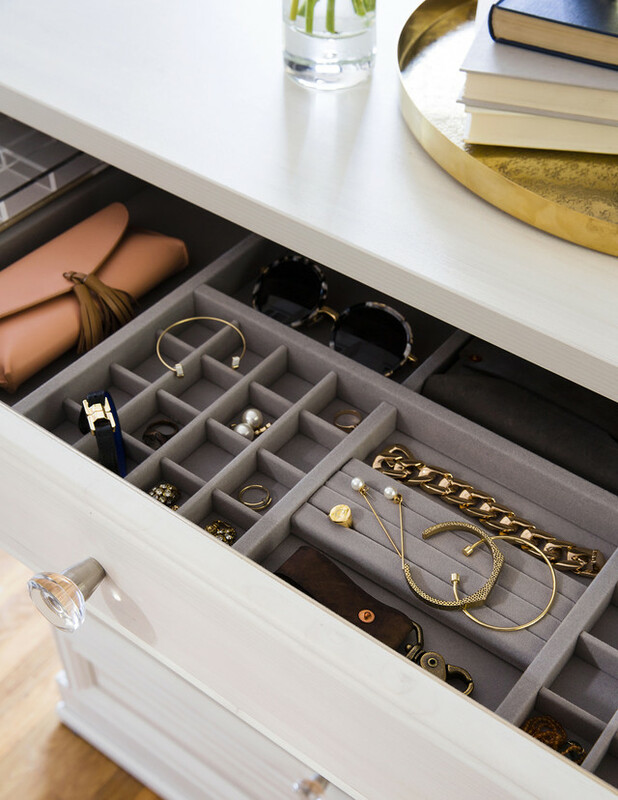 "A few of my favorite details: The soft-close drawers that feel incredibly luxurious and well-made. The tempered glass doors that help break up the space in a visually interesting way (and hide clutter). The acrylic dividers that keep my sweaters stacked and separated. And that jewelry drawer…any time I need a little pick-me-up, I sneak a quick peek. (Not that anything in there is that valuable — it's just lovely to see all my flea-market collectibles and estate-sale finds in one place). I also love the palette we chose, Aspen, as it makes the room look luminous," added Irene.